In Claudia’s story, “Talent,” Landon Avery has a power he’s hidden from everyone: the ability to influence people’s emotions. He’s used it to enhance his acting performances … and to make sure his parents don’t freak out about him being gay. But when swim-team star Jesse Pearce joins the cast of the latest school play, Landon has to figure out whether it’s his power making Jesse interested in him, or whether this might actually be real. Life’s a beach—and then you’re undead? 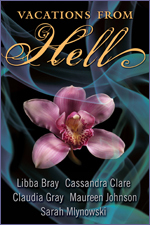 Vacations From Hell offers five different authors’ takes on vacations gone wrong—in the supernatural sense. Losing your luggage doesn’t compare to sharing a summer house with a witch who’s carrying a grudge. A sunburn may feel terrible, but it fades faster than a terrible curse. But even in the worst situations, sometimes love can bloom. You won’t want to spend your next summer vacation without this one! 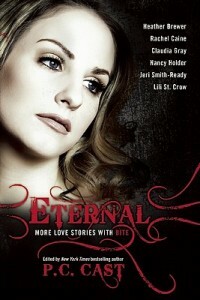 Immortal is an anthology of stories about the beauty, passion and terror of love affairs between mortals and vampires. 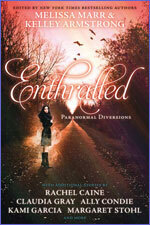 “Free: A Story of Evernight” tells the history of Patrice Devereaux, Bianca’s friend and roommate in Evernight. Patrice’s life as a free woman of color in antebellum New Orleans allows her a very strange kind of freedom, one with definite limits and a definite end. Just as she prepares to take a tremendous risk for love, a mysterious man appears in town with very different ideas about liberation — and an obsession with Patrice that might cost her everything. 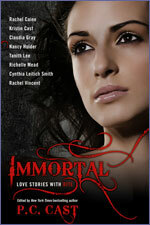 Other authors featured in Immortal include Cynthia Leitich Smith, Rachel Caine, Richelle Mead, Nancy Holder, Kristin Cast and Tanith Lee. 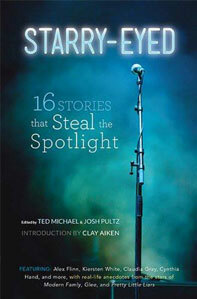 The anthology is edited by P.C. Cast. 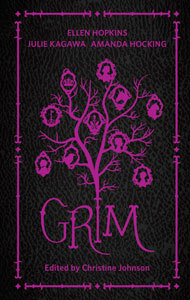 You can read an excerpt of Free: A Story of Evernight, as well as excerpts from some of the other stories, at TeenLibris.